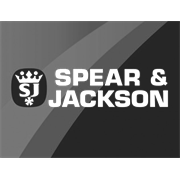 Spear & Jackson's 115mm Brick Bolster is suitable for use by brickies and handymen for cutting bricks in half prior to building. The blade can be sharpened on a grinding wheel as required to ensure a clean cut every time, while a safety grip protects your hands from injury during use. A one-piece forged construction, the Spear & Jackson 115mm Brick Bolster is heat treated for added durability.